A while back, we talked about how you can hide the iPhone X notch. It’s obvious Apple’s design choice for their latest flagship hasn’t been appreciated by everyone. However, if you’d like to embrace it as it is, you can also customize the notch on iPhone X. 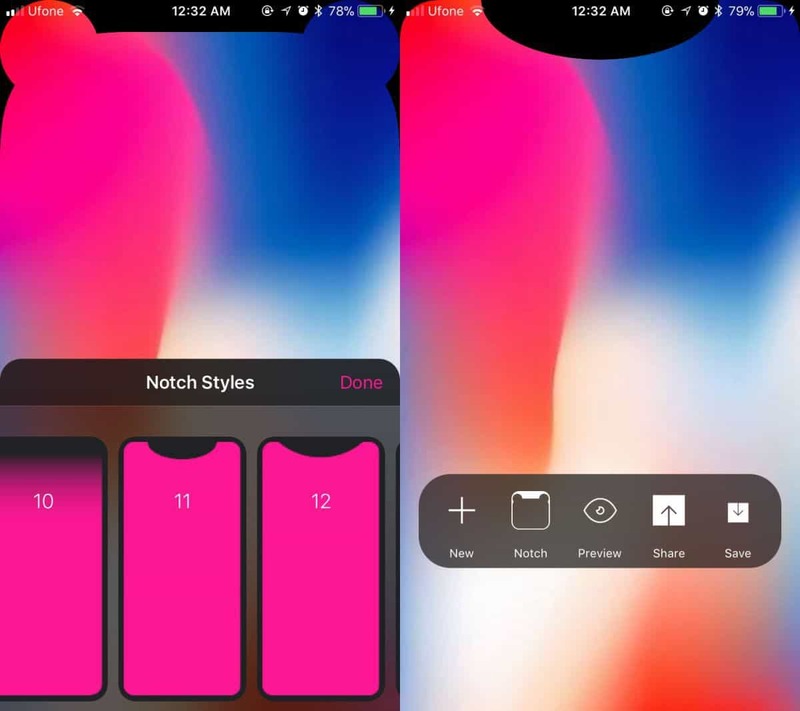 Using the wallpaper trick concept used to hide the notch, an app called Custom Notch lets you customize it instead and it provides 60+ notch styles you can choose from. It’s not a free app, but the small price of $0.99 is well worth it if you’re looking to make your iPhone X stand out. 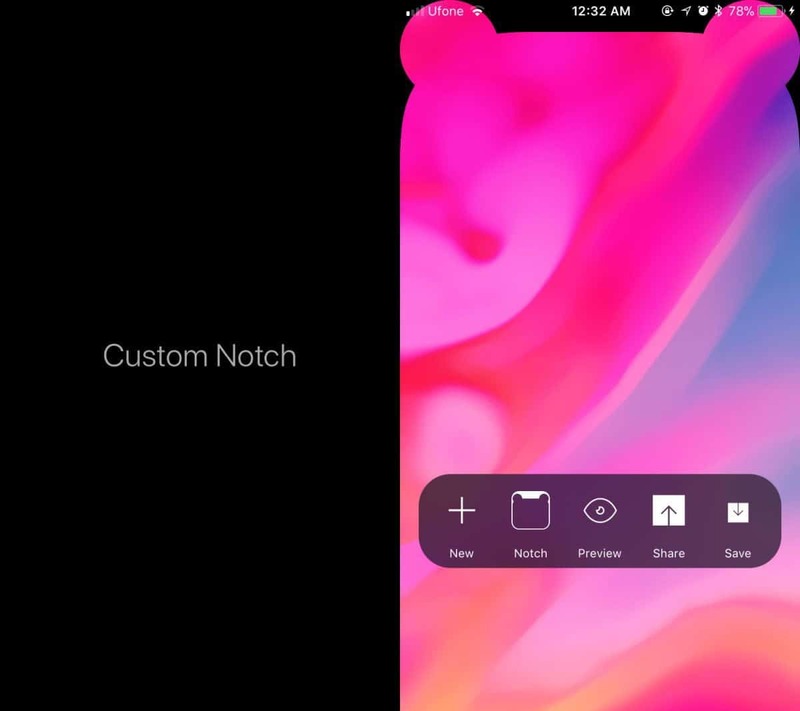 Start by downloading Custom Notch from the App Store. While the main purpose of this app is to help you customize the notch on iPhone X, it can be used on other iPhone models as long as they’re running iOS 11 – in fact, we tested it on an iPhone 6. However, unless you’re installing it on the iPhone X you might not be able to use all the available notch styles due to size differences. With that said, open Custom Notch and click on the “+” button. Open the app and tap the plus button. Select the image you want to set as your wallpaper then tap the Notch button. This will allow you to view and explore all the available notch styles. Once you select a style and tap the Preview button, you can see how it would look as a wallpaper. When you find a style you want to use, open the Preview and tap the Save button. The image will be saved to the camera roll. Now all you need to do is set it as a wallpaper. As a result, launch the Settings app and select Wallpaper. Select the option called “Choose a new wallpaper” then tap Camera Roll. Select the image you just created using Custom Notch and set it as a wallpaper for your lock screen, home screen or both. As long as you don’t want to hide the iPhone X notch, the Custom Notch app provides an excellent solution for styling it and making it look more interesting. The provided notch styles are simple even though each is unique and appealing.